You might have seen the most recent U.S. Dietary Guidelines published by the Department of Health and Human Services that excluded a flossing recommendation and a resulting in-depth AP story citing the lack of long-term evidence that flossing works. As a former practicing general dentist, I felt compelled to respond. I didn’t learn about floss until I went to college and took part in a study at the dental school. We were to learn to floss and perform it daily to show any possible change in our gum health, as measured by that pesky periodontal probe. The goal was to get the pocket depth level to 3 or under. Having never flossed before, it was a technique I was eager to master as a would-be dental student. Once I learned how to avoid strangulation of my fingers and thumbs, I became proficient at wrapping the floss around my tooth and carefully sliding it along the side surfaces (later named “mesial” and “distal”), taking care not to slice my middle gum tissue (“papilla”). Voila! A few weeks later, my numbers were fantastic and I have not stopped flossing nightly since that time back in 1977 at Penn’s dental school clinic. I earned my DMD there in 1982 and have touted the merits of flossing ever since. Do I recall any long-term studies that show, without a doubt, that every person on the planet will get the same results I did? Of course not. It just makes physical and biological sense. It’s an affordable and easy way to remove plaque, a major cause of both tooth decay and gum disease. And I go to bed with cleaner-feeling teeth, too. 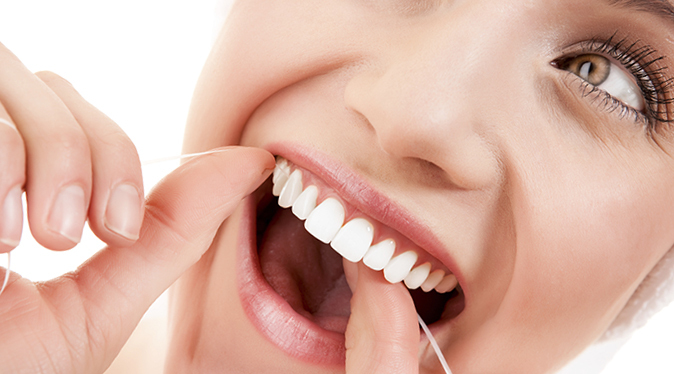 Even in the absence of solid evidence to support flossing, if you follow this simple practice each day, along with basic good habits like daily brushing, using a fluoride toothpaste, eating a healthy diet that includes lots of water and not smoking, and, of course, getting regular dental check-ups, you’re making strides toward preventing gum disease and tooth decay. Floss on! Dr. Cheryl Lerner recently joined the Delta Dental of Colorado team as vice president of professional services. Drawing on her 30-year experience in clinical dentistry and dental insurance administration, Dr. Lerner leads the company’s provider network initiatives and supports efforts to educate members about the importance of oral health. HAVE A QUESTION FOR DR. LERNER?